Apple CEO Tim Cook once had high hopes for the iPhone in China. And for a few years, Apple's iconic handset was number one in the country. But last year, for the first time since 2012, the iPhone was not on top of the Chinese smartphone market. And this negative momentum has continued throughout this year. According to analytics firm Canalys, the iPhone was the fifth most popular smartphone in China during the second quarter of the year based on shipments. The top smartphone manufacturer in China is Huawei. The company shipped 23 million phones in Q2, followed by Oppo . The latter delivered 21 million handsets in the period from April through June. Vivo finished third with 16 million phones shipped and Xiaomi was next with 15 million. While Apple doesn't breakout its iPhone sales for specific markets, the company saw its sales in the country overall decline by 14% year-over-year in the period. For the quarter that runs from September through December, Apple's sales in China are expected to be led by the 10th Anniversary model dubbed the Apple iPhone 8. Sales are expected to rise 13.3% year-over-year to $9.96 billion over the final three months of the year, which is Apple's first quarter for fiscal 2018. Hahahaha! True that! After all they've dealt with a lot of "Made in China" products. It's more about the brand of a device, than the specs of said devices. It's Apple, after all. It's more about what and how a device can and will do than it is about its specifications. iPhone can do more than PC? Depending on what you need, if you can fit your PC into a pocket, no; if you can't, yes. Depend. No one to write a report and write program on small screen and mouse still much better than a thumb. That's like saying my tractor has more torque and comes with big tractor wheels, 4x4 drive, and can pull a plow, and as cheap as a pickup truck - some people just want a pickup truck and have no use for a tractor. It's not about the spec, more about the alternative. If one could justify spending 1K+ on a phone so be it. It's not even close, I use an HTC 10 and it's a great phone but since I got my laptop that thing has collected dust, you guys act like an iPhone is the ultimate computer device, not even close, the lies that an iPhone is as powerful as a desktop is a joke, it's not even 1% close to a average PC, an iPhone is nothing but a controlled device by apple. They think that what they make is the best freaking device used by god's or something, it's a phone, a phone! It is an overpriced gadget that plays games that nobody wants to play. Thanks for bringing back the "you only dislike it because you can't afford it" argument. Considering the rest of the upper model Android phones like the Galaxy S, Note, and Pixel series cost the same as the iPhone, how do you reconcile that they can't afford the iPhone? And BTW, the HTC 10 cost $700 at launch, the iPhone 7 cost $769 at launch. I doubt the $69 is what kept him away. The HTC cost $700 on the morning but if you want to sell on afternoon you can do it for no more than $300. Many people don't buy because of resale value, they buy it because it suits their needs better. I don't think there are a lot of iPhone users that believe their phones are computers. iPhone is one of the best communication device, it is not a computer. Why buy an iphone for $800 in China? When the Chinese people can buy Chinese branded phones for $150 to $400. It will be just as good if not better than the fruit phone. Wow, as far as comments go it's just lather, rinse, repeat with you isn't it. How many different ways can you say the same thing? First you're among a false assumption in that because some people can't afford something, they get bitter and lash out, in this case about the iPhone. See, in your apparent line of reasoning, no one could possibly not buy the iPhone if they have money so obviously that means their poor. It's a combination of a stereotype and bad logic. It would be like me saying all people who like the iPhone are A-holes. My line of reasoning for that assumption would be that you, cnour, are an A-hole and you like the iPhone, so obviously everyone who likes the iPhone is an A-hole. See the flaw with that reasoning? There are plenty of iPhone supporters and users who aren't A-holes, so it's not all of them, it's just you. You and others like you. Who will buy an outdated junk when phones with latest features are available? Chinese smartphone market has been harsh on virtually all foreign brands. Local brands rules there. Agree. The Government wants it that way. In fact Apple is bending over backwards to comply with everything the government wants. Access to User data or even perhaps back door entry to iOS. Why? China is a big market and chasing the almighty dollar is what the stockholders want. 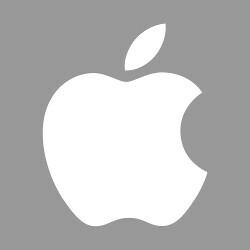 Yet in all of this Apple is not making any inroads because the Government there will take what it wants from iOs and infuse it into it own peoples OS for the communist soon to be phone. All these companies like Ford, GM, Cisco, Microsoft, Google, Oracle etc.. who ran to China to manufacture and produce good to sell back in the US of A have learned a hard lesson. There are no Patent laws their that will protect their intellectual properties and if there are the only protect the local home grown companies that duplicate and sell the same products for less. Its the classic "roosters coming home to crow"
Oh my god, Apple is loosing a lot of money and will be ruined soon!!!!!!!! This is fake news and alternative facts. I suspect the Chinese consumers are waiting for the iPhone 8. The number 8 is lucky in Chinese culture.